This is an early, 17,6 cm long, Acheulian finding from the Stellenbosch area/ South Africa made from Quartzite. 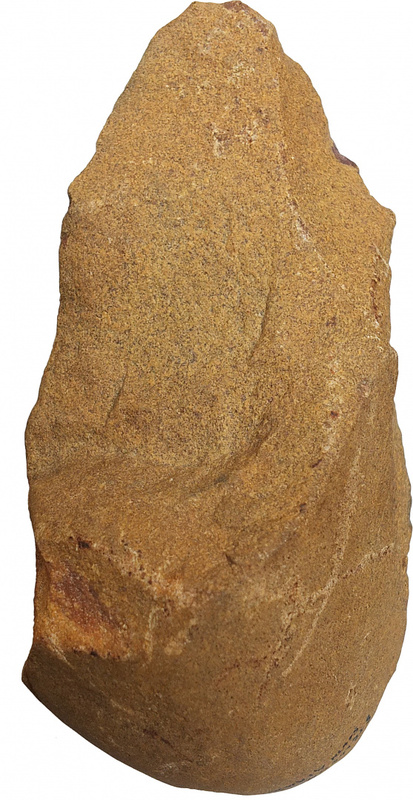 Most Acheulian findings of the Stellenbosch area are made from this material or large slabs of Sandstone. They may be at least 500 k.a. old. The artifact was once part of the famous Robert Stephen Murray Collection. Mr Murray (1915-2005) of Caithness, Scotland was a passionate collector of prehistoric artifacts. The small University town of Stellenbosch is situated in the Western Cape province of South Africa, about 50 kilometers east of Cape Town, along the banks of the Eerste River at the foot of the Stellenbosch Mountain. Today the picturesque hilly countryside of Stellenbosch is the heart of the South African wine industry. The gravels of the Eerste River, which flows through Stellenbosch and south to the border of the Helderberg Municipality, contain Early Stone Age (ESA) material which was already identified and accepted as Paleolithic as early as 1866. Dr Louis Péringuey, at this time Director of the Cape Town Museum, began in 1899 with systematic excavations at the Bosman's Crossing site and subsequently described ESA material in 1911. Later Bosman's Crossing became the type-site for the Acheulian in S-Africa. An exemple of the findings is displayed in the last external link of this Post. In the Cape Province– especially at Stellenbosch, Handaxes and cleavers, the most characteristic large cutting tools of the ESA, are found in the plough zone of many vineyards and in the valleys of the Eerste, Berg and Breede Rivers in the south-western Cape. Goodwin and Van Riet Lowe gave a pretty good description of their Large Flake character in 1929. As well as 20 Acheulian sites are distributed over the landscape at Stellenbosch. Unfortunately no absolute dates are available for the Stellenbosch Acheulian. Almost all Acheulian assemblages in southern Africa come from disturbed open-air contexts, see- 1715 . Of special interest are therefore securely dated Early Acheulian sites, reported from the sites of Sterkfontein, Swartkrans and Kromdraai, all in Gauteng’s Cradle of Humankind and the the Acheulian of the Vaal river. Member 5 of Sterkfontein is the largest and most prominent collection at Gauteng dates to ca 1.7-1.4 Ma. 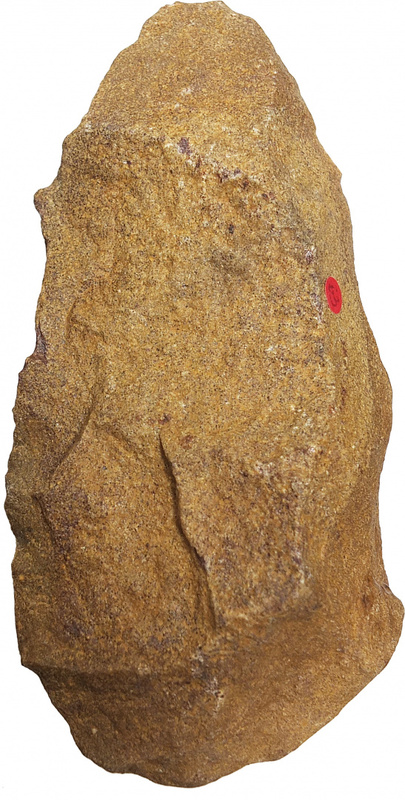 At Swartkrans, a few bifaces are said to derive from Member 2, which is thought to be around 1.5 Ma based on fauna. The fluvial gravels of the river Vaal in South Africa have long been known as a source for Earlier Stone Age artifacts. Most were discovered through the open cast mining for diamonds that has left very little in situ fluvial sediment remaining today. New programmed excavations at Canteen Koppie a sucession of Acheulian, including an ensemble with Victoria-West technique topped by Fauresmith materials will hopefully help to establish a geochronological framework and secure absolute dates for this important site.